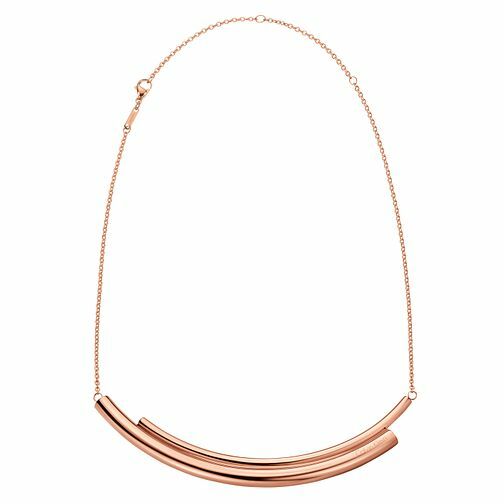 This simply elegant stainless steel and rose gold Calvin Klein Scent necklace creates a unique style - perfect for every occasion. Calvin Klein Scent Rose Gold PVD Necklace is rated 5.0 out of 5 by 1. Rated 5 out of 5 by Anonymous from Good The Calvin Klein necklace and earrings are really lovely on. They really compliment each other and will go with most outfits I wear. I liked them because they were a bit out of the ordinary and modern.